At the pumpkin patch, look for body shapes with character and a stable base. They can lean to one side (like a cat on its haunches) but shouldn't wobble. 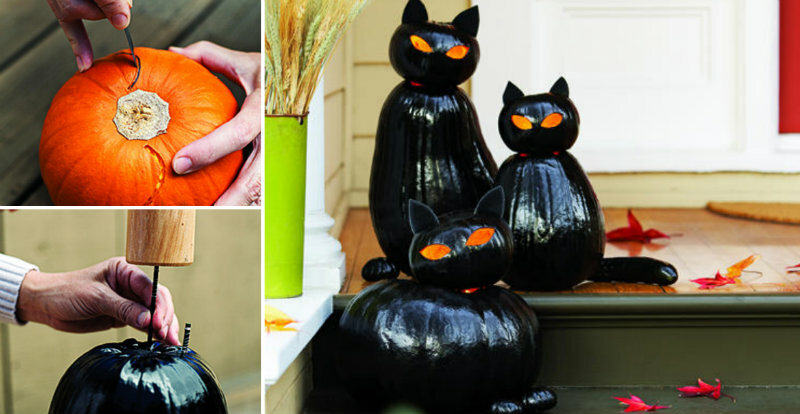 Choose a tall one for an elegant cat, or a squat orange heirloom for a chubby cat curled on its paws. Test a few "heads" until you find a good match. This twist on the traditional jack-o'-lantern cuts down on some of the usual pumpkin cleaning: No need to hollow out the body. 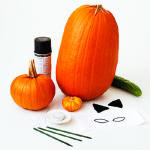 Just clean out and carve the head, then add mini pumpkin paws, curvy cucumber tails, and ears from stiffened felt or black card stock from the craft store. 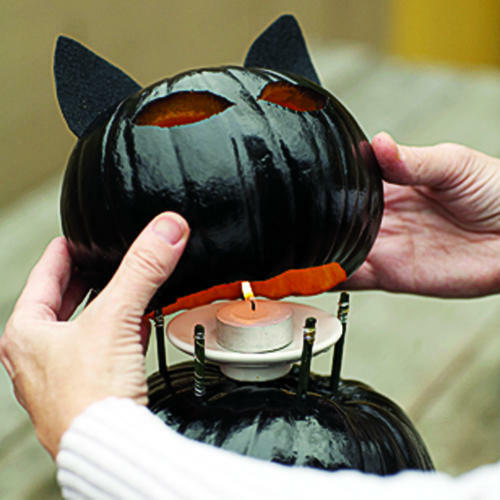 Then, light the candle, get the candy, and watch your Halloween cats come to life.